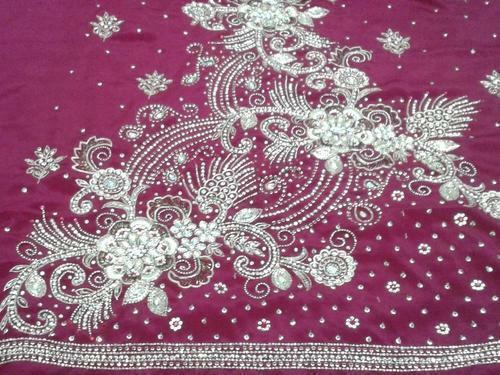 Different styles of Indian embroidery have been handed down from generation to generation: zardozi, chikankari, sujuni, kantha, kasuti, toda, mirror work. The passion for embroidery in India has led to great experimentation in the field, with several styles, creating dazzling effects such as the ‘stained glass’ look, the long cross stitch, rice stitch, textured panels and much more. One can see embroidery on wall hangings, saris, textiles and garments, incorporating unique motifs and patterns. 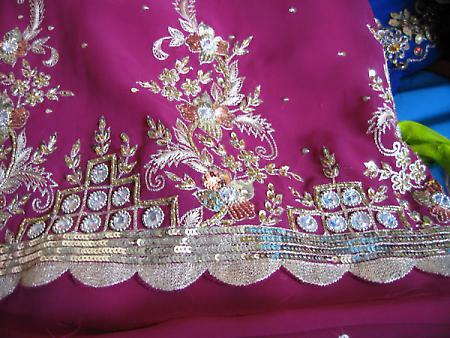 Zardozi is one of the oldest and most beautiful embroidery styles of India. It is used extensively in clothing and home decoration. Painstakingly and delicately done by hand, creations in zardozi work are timeless, unbounded by the shackles of trends.